Is it almost September already in Lake County? Then, keep an eye out for neatly combed and freshly scrubbed faces, clutching new fountain pens and immaculate white notepads, and happily but deliberately advancing through your neighborhood en route to their appointed commission. If your LakeCountyEye conjures an image of the little shavers on their way to elementary school -- close but no cigar. September, of course, is when poorly paid campaign interns are going door to door to get your signature on their nominating petitions. When it comes to campaigning -- and, in particular, when tasking marginally employable interns -- it is always better to err on the side of caution. The minute that you, the campaign manager, thinks it is silly to specifically forbid invisible ink, then -- BAM -- in will come walking a volunteer with a petition signed in invisible ink. Take it from your LakeCountyEye, leave nothing to the imagination; you won't be sorry. This is not to say that the old invisible ink trick hasn't already been tried. Back in the day, your LakeCountyEye recalls, one candidate delivered for certification, a thick stack of empty petition sheets. And naturally, this candidate was challenged. At the hearing, the candidate swore that his petitioners used invisible ink by mistake. 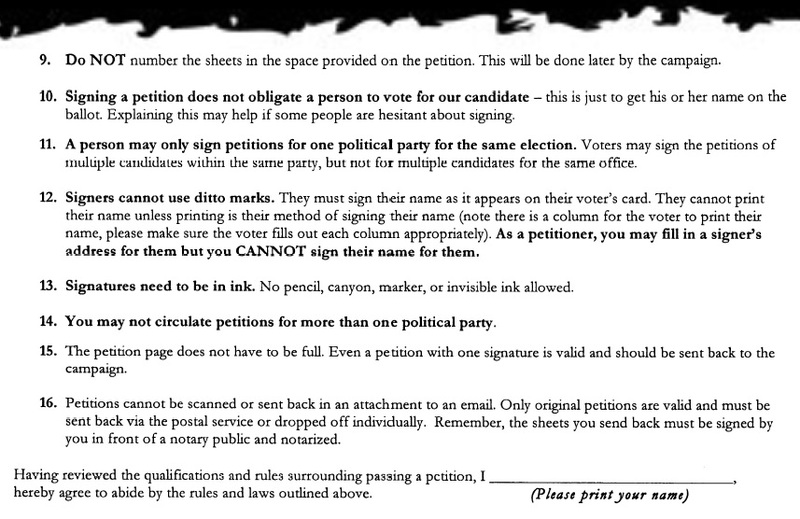 His opponent objected, on the ground that petitions must be signed in blue or black ink. The candidate had anticipated the objection and responded that his petitioners had used invisible blue or black ink. Needless to say the election panel ruled in the candidate's favor and allowed the petitions. True story, although the ruling was reversed when it was appealed to a real court.